Just as the term "Eastern religions" refers to Buddhism, Hinduism, Taoism, etc., and the term "Abrahamic religions" refers to Judaism, Christianity, Islam, and perhaps the Baha'i faith, the terms "Neo-Pagan" "Neopagan," and "Pagan" refer to a group of separate religions. Neopagan religions are reconstructions of ancient abandoned Pagan belief systems, including Celtic, Egyptian, Greek, Norse, Roman, and other traditions. Unfortunately, references to Pagans and Paganism in the Christian Bible are universally negative, and often contain references to human sacrifice and Satan worship. These passages were partly responsible for the "burning times. These were the witchhunts and subsequent extermination of non-Christians during the Middle Ages and Renaissance periods. Neopagans do not worship Satan. They do not even acknowledge his existence. Their belief system often contains a pantheon of gods and goddesses. However, none of them is an all-evil deity even remotely like the Satan found in Christianity and Islam. Over the last few decades, many Wiccans and other Neopagans have come out of the [broom] closet; some have even held public rituals. The result is that the misinformation and fear of Neopagans has largely evaporated. They are being accepted as simply another spiritual path within the diversity of North American beliefs. 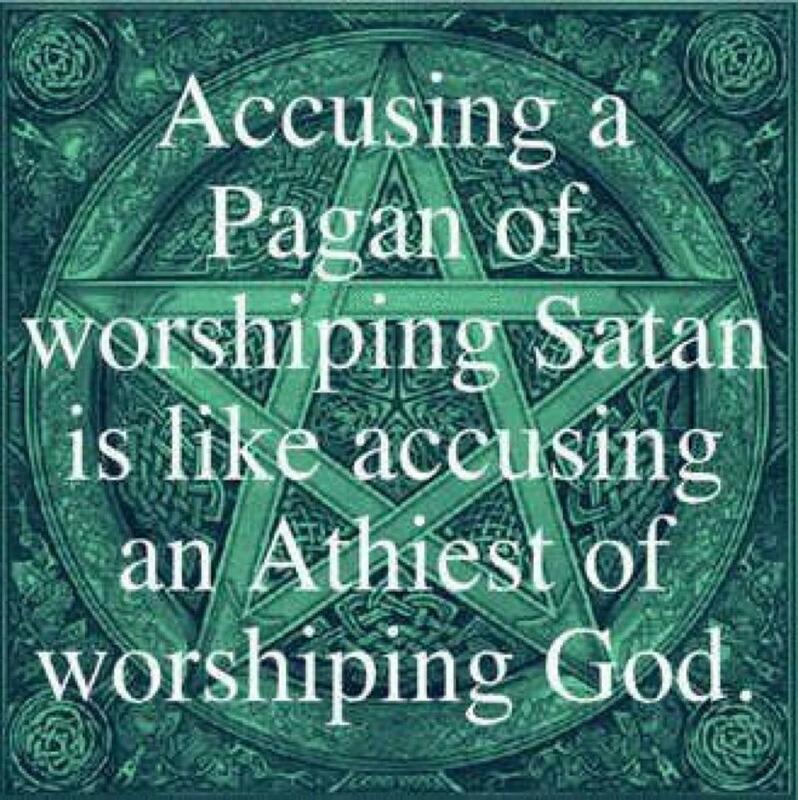 Meanings of the word "Paganism"
Are all Witches equal? The Harry Potter books, and public confusion about "witches" & "witchcraft"
Can a person be a both a Wiccan and a Christian? Resources: essay, general info., covens, links, supplies, services, etc. * Many followers of Asatru regard themselves as "Heathens" rather than "Neopagans." Most view their religion as "not just a branch of the Neopagan tree" but as a different tree entirely. If you only see a generic Amazon ad here, please click on your browser's refresh button. "Gardnerian High Priestess and Cherry Hill Seminary instructor, Laura Wildman, has collected amazing stories from a diverse set of practitioners, each with their own individual perspective on what it means to be Pagan in the modern world. With over fifty contributors - including famous names like Starhawk, Macha NightMare and Oberon Zell-Ravenheart, as well as a plethora of less well-known but just as gifted writers - this book has something that will appeal to everyone. The book is divided into five sections; Earth: Community - the roots that nourish, the families we create, the coming home; Air: The learning process - teachers, mentors, students and inner guides; Fire: magical transformation - from Wow! To Oops! ; Water: the seasons and the cycles of life; and Spirit: The God and Goddess in our lives. The reader can dip into the book anywhere - you need not start at the beginning - and find honest, creative, thought-provoking stories about joy, awe, triumph, failure, consternation, love, loss and sorrow, that stand out as being written by deeper-than-average thinkers. 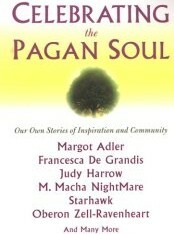 A ripe collection of wisdom-fruit from people who really live their Paganism. Highly recommended." Trevor Greenfield, Editor, "iPagan," Moon Books (2017). Read reviews and order this book from the Amazon.com online book store. $ 0.76 in the U.S., $0.99 in Canada. 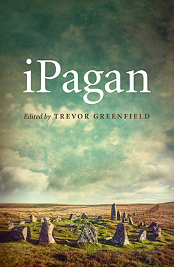 "With fifty-nine contributions from over forty authors, iPagan is an anthology that covers Druidry, Shamanism, Witchcraft, Goddess Spirituality and a range of contemporary issues that affect Pagans across the globe. The book is an ideal introduction to the writing of each of the authors as well as an essential primer for anyone interested in modern Paganism and for those wishing to engage in current Pagan thinking."